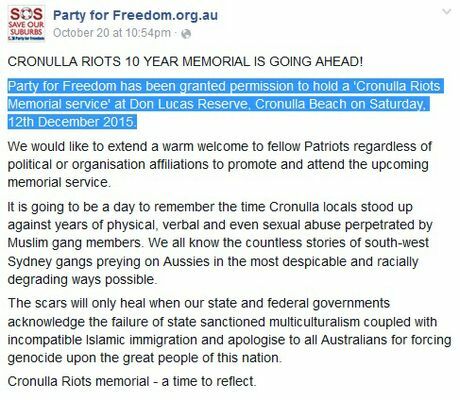 A SMALL group of self-styled "patriots" plan to drape the beach in southern crosses for a Cronulla Riots reunion. The December 12 rally is being sold as a memorial service, and comes 10 years after Australia was internationally shamed as images of the riot were broadcast around the world. Organisers, Party for Freedom, used Facebook to claim the rally had permission to go ahead. Sutherland Shire Mayor Carmelo Pesce said the group had not made an application, let alone received council approval. "I will not tolerate any violence or racism in the shire," he said. NSW Police would not confirm whether it had granted a permit. "Discussions between the organisers, council and police are ongoing," a spokeswoman said. But well known anti-Muslim mouthpiece Shermon Burgess, who goes by the Facebook name the Great Aussie Patriot, was adamant the rally was sanctioned. "Many other patriotic movements have tried to get a permit from Cronulla but got denied," he said in a video. "However there was no denial for Party for Freedom because they are a registered political party." He maintained it would not be an "alcohol-fueled idiot rally", unlike the riot he put on a pedestal as "the very place where it all began". Anti-Islam campaigners claim they have been granted permission to hold a rally to commemorate the 10th anniversary of the Cronulla Riots. Organisers on Facebook said the demonstration was an effort to open discussion about what happened a decade ago, the facts of which it maintained were distorted by the government and "a corrupt media"
"Finally, it is time for the government to APOLOGISE to the abused and battered Cronulla locals who cried out for help but were ignored and ridiculed," it stated. 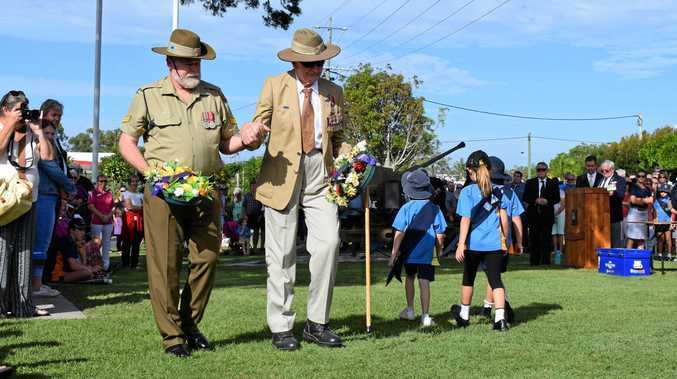 "The upcoming tenth Cronulla Riots anniversary is a fitting time to bury multiculturalism." The Islamic Association of Australia has been contacted for comment.